The whirlwind that was the Adelaide Fringe Festival has come to an end. 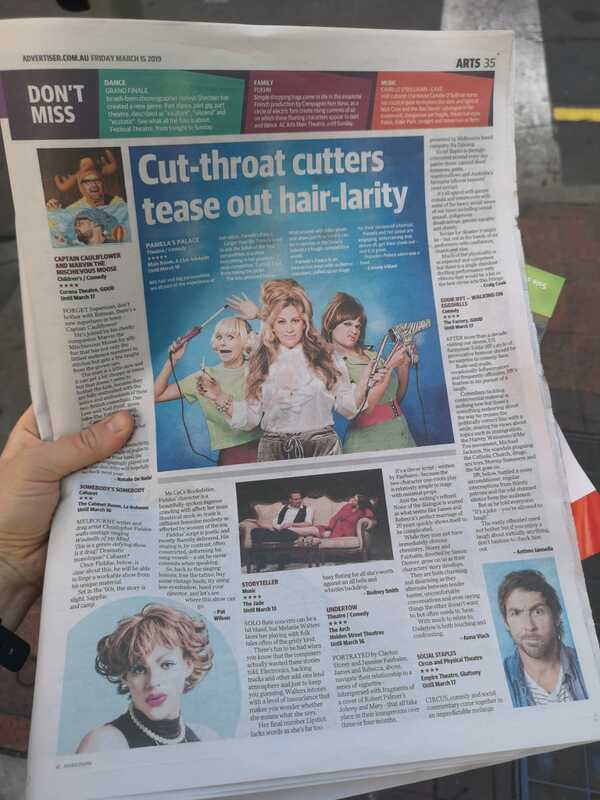 The ITI team have packed up the curlers and scissors, Sybil wigs and dinner trays and made their way to Melbourne to rehearse for the Melbourne International Comedy Festival. 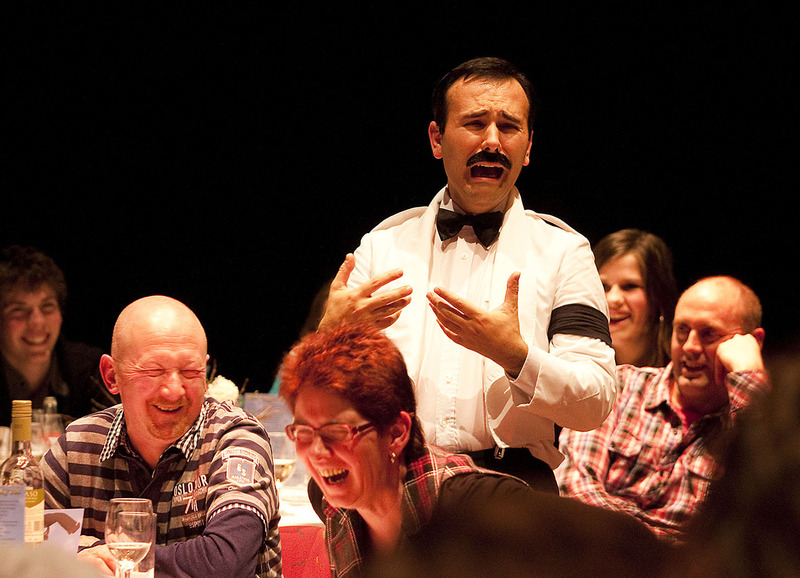 This year, ITI had two shows in the heart of the action in Adelaide: Faulty Towers The Dining Experience and Pamela’s Palace. Opening on 15 February at the Stamford Plaza Adelaide, Faulty Towers took the Fringe by storm with their own distinct version of madness. Actress Rebecca Fortuna celebrated her birthday performing as Sybil, and after an evening spent making people laugh she was surprised with flowers and an audience sing-a-long of Happy Birthday! 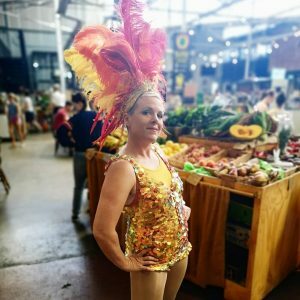 Rebecca’s favourite compliment was from an audience member who, after watching the show for the 6th time, said this was the best one they’ve seen yet – highlighting how enjoyable the show is, and that each show is completely different thanks to the amazing improvisational skills of our performers! Sybil, Basil and Manuel threw themselves into all the fun of the Fringe – heading to Gluttony and the Garden of Unearthly Delights most nights for a drink and a late-night show. They loved the cocktails so much that Rob Langston (Basil) and Nicholas Richard (Manuel) bought all the ingredients for a toffee desert cocktail and replicated the recipe at their digs. We can only hope Rob and Nick are better mixologists than Basil and Manuel! According to Rebecca they “lived like the characters as well. Washing Basil’s dirty laundry with mine at our house, putting Manuel in the room next to the laundry so he could do the house work!” We’ll just call it ‘cast bonding’. 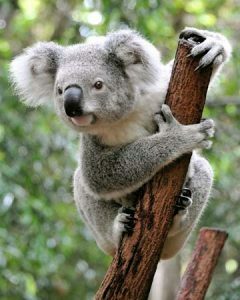 After an interview with Today Tonight Adelaide the cast were ready for a break and headed to the mountains were Rebecca saw her first ever Koala in the wild! 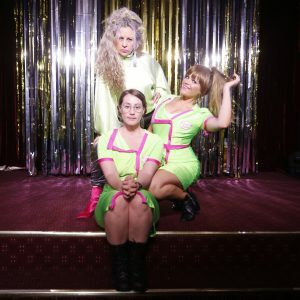 Over their time at the Fringe the Faulty trio got rave reviews across the board with five-stars from the likes of Adelaide Mail, The Daisy Telegraph, Everything Adelaide and Barefoot Review. They also won four shining stars from The Advertiser and All over Adelaide – finishing off with a 4.5-star rating from Adelaide Theatre Guide. Accolades like those are nothing to be sniffed at! The team returned home from a successful Fringe to find they had also won The Advertiser’s BEST COMPLETELY INDESTRUCTIBLE SHOW AWARD! Who could ask for a better finish?! (Check out our Instagram account for a photo of her and her Pam Hair Award nominated hair at @pamelaspalace)! 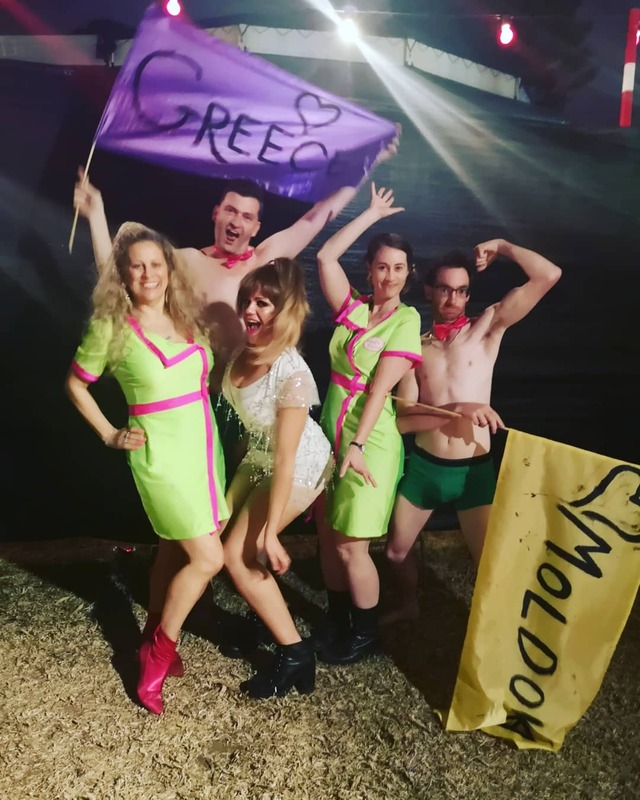 The trio even entered Adelaide Fringe’s answer to Eurovision, Eurowision, and it was an absolute highlight. Egged on by the A Club’s amazing venue manager, Kerry, the cast created and rehearsed new choreography especially for the 400 strong audience at the Vagabond Tent. It was truly a night to remember as Kerry and the Pamela’s Palace techie, Drew, joined the women on stage wearing green trunks and pink bow ties! 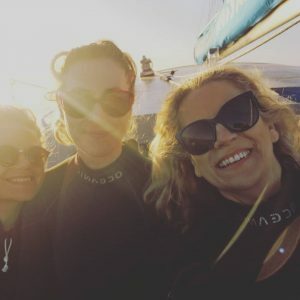 But the three did take the occasional break from the hair, make-up and false lashes –with a quick escape to Glenelg marina to swim in the sea with wild dolphins is a memory they all agree they’ll treasure. 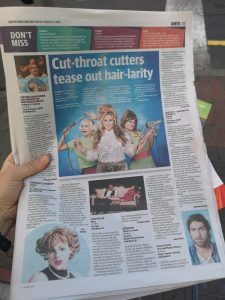 The Adelaide Advertiser gave Pamela’s Palace 5-stars, yet another glowing accolade for this new internationally acclaimed show, describing Pamela and the girls as ‘Cut-throat cutters [who] tease out hair-larity’. Sam About Town called it a ‘Hilarious interactive sketch,’ handing out another 5-star review to our team! Melbourne International Comedy Festival – Here We Come! 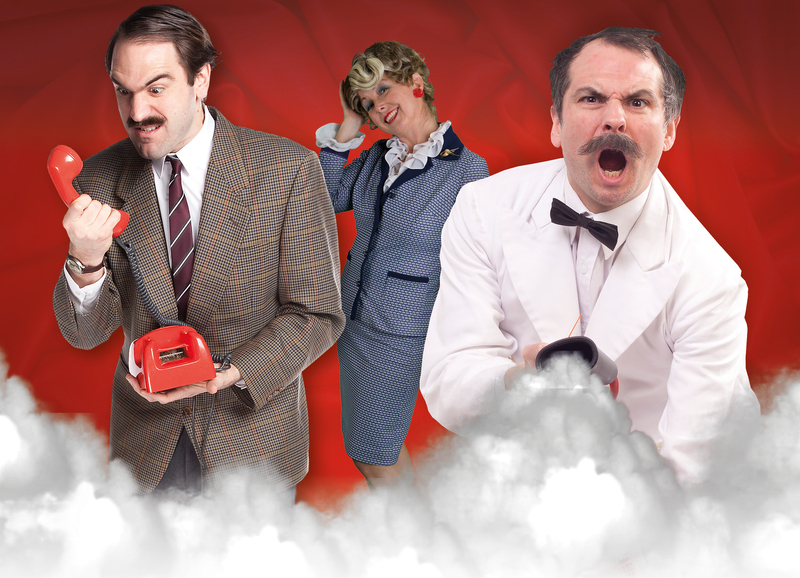 We think the Adelaide Mail said it best when, in their review of Faulty Towers, they remarked ‘the only thing faulty about this production, is that it is only a once a year season’. If you share those sentiments then do not despair! Both shows will be open again soon at The Melbourne International Comedy Festival. 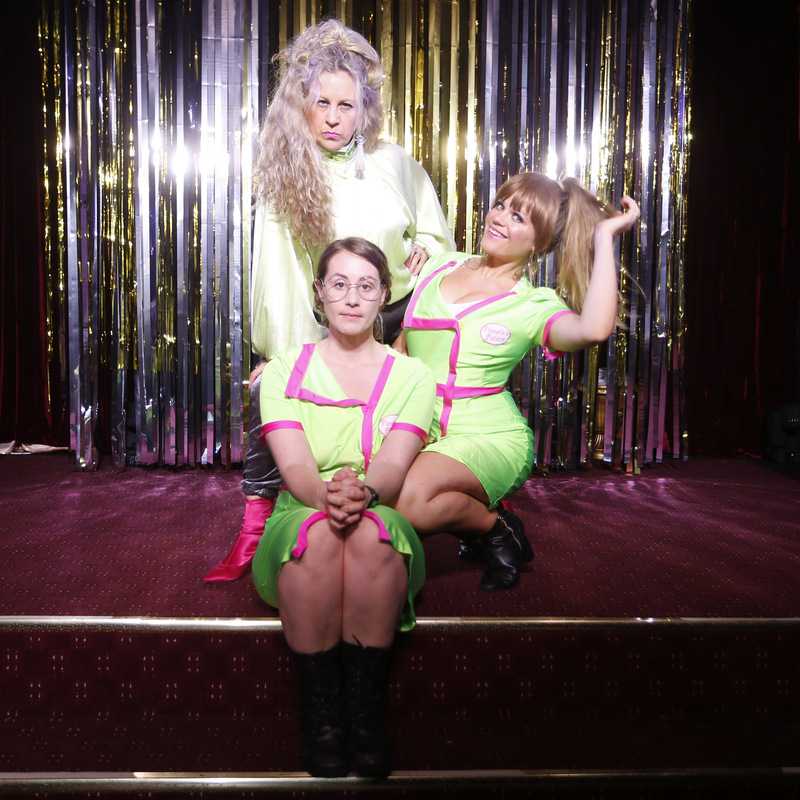 We’ll be there to blow (dry) you away with more comedy from the Queens of the Salon, and serve you up a riot with our favourite Faulty meal. If you are ready to come and share in the fun with these 5-star shows details can be found below. 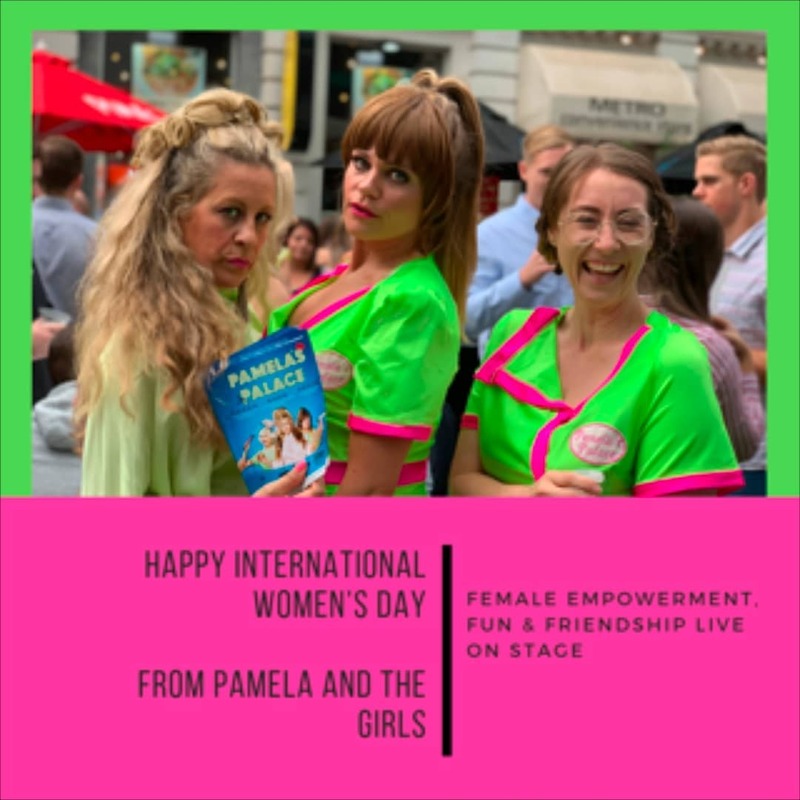 Pamela’s Palace opens in a mere week, 27 March – 6 April 2019 at The 86 Club, Smith Street. 7:30pm every night (except Sunday). Tickets for this hairspray spectacular can be found here. 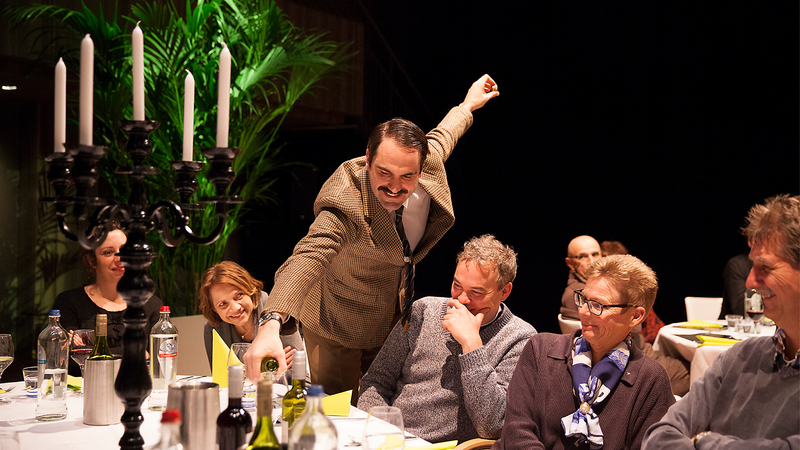 Whereas our treasured Faulty Towers The Dining Experience is making an appearance too at the Stamford Plaza Melbourne (111 Little Collins Street) between 9 – 14 April. 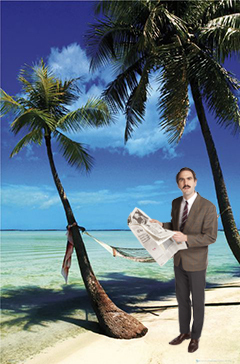 Dinner and lunch shows both running (except Monday)! Tickets and further information can be found here.